Hey guys! How are you all? A couple days ago, I received a lovely Tony Moly Petite Bunny Gloss Bar from Ulzzang Culture, so today I'll be writing my first makeup review on this ultra-kawaii lip gloss. I picked the Juicy Peach Flavor, which has a glimmery light pink tint and natural glossy finish. Review ahead! 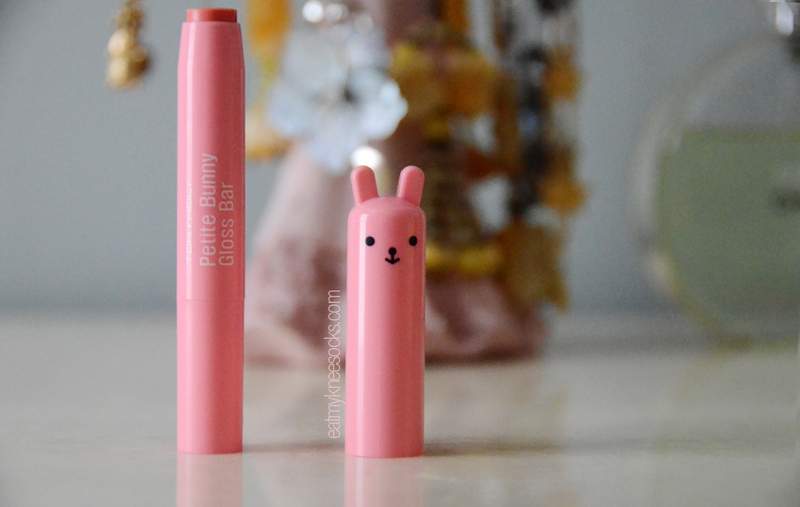 I've had my eyes on the Petite Bunny Gloss Bars from Korean makeup brand Tony Moly for a really long time, so I was psyched when I got the opportunity to finally try out one of these adorable lip gloss sticks! I got the bunny gloss bar from Ulzzang Culture, an online store that sells super-cute items such as "usamimi" (bunny ears) hair accessories, fashionable bags, clothing, tights, iPhone cases, stationery, and cosmetics! 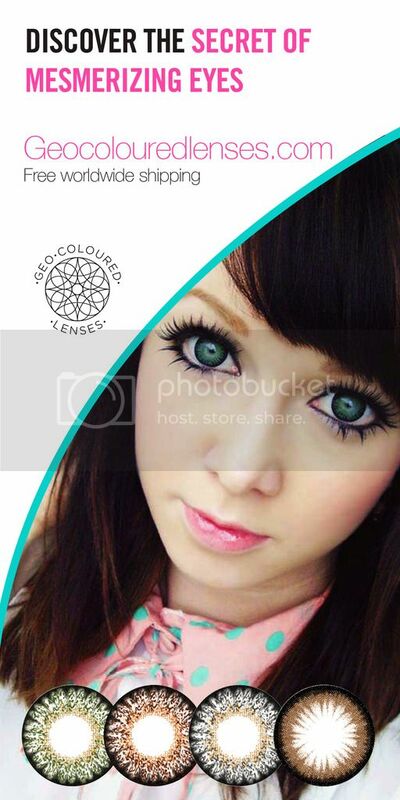 The name comes from the Korean word ulzzang, which translates to "best-looking" or "best face." I'm a total sucker for packaging, and the Tony Moly bunny lip gloss bars from Ulzzang Culture are too cute to turn down. 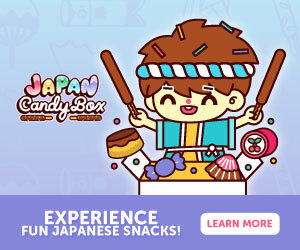 There are nine flavors in total, including 6 "juicy" colors (strawberry, grape, apple, cherry, peach, and orange) as well as 3 neon colors (orange, yellow, red.) Each bunny gloss bar has a different shade, scent, and bunny face! The one that I picked was #05: Juicy Peach. The packaging and design of the Tony Moly petite bunny glosses is so adorable and unique. I especially love that each flavor has a different facial expression; it makes me want to collect them all! 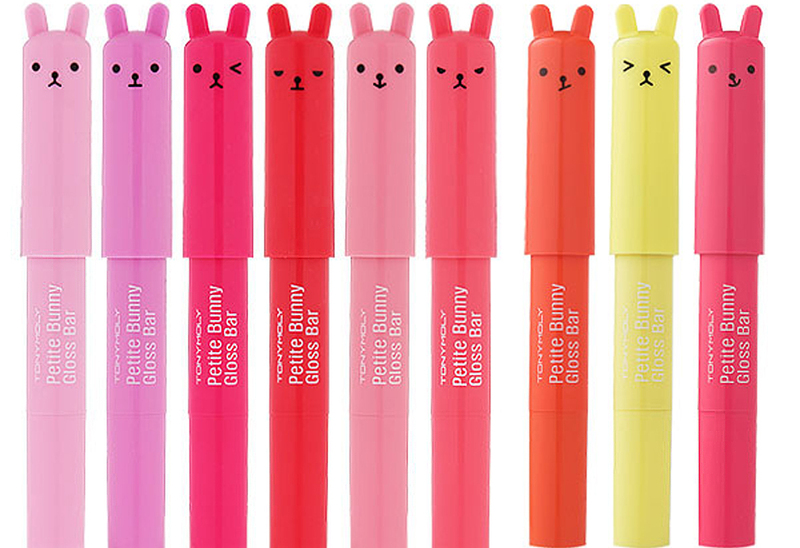 All nine flavors of the Tony Moly Petite Bunny Gloss Bars. I picked 05 Juicy Peach, the fifth from the left. 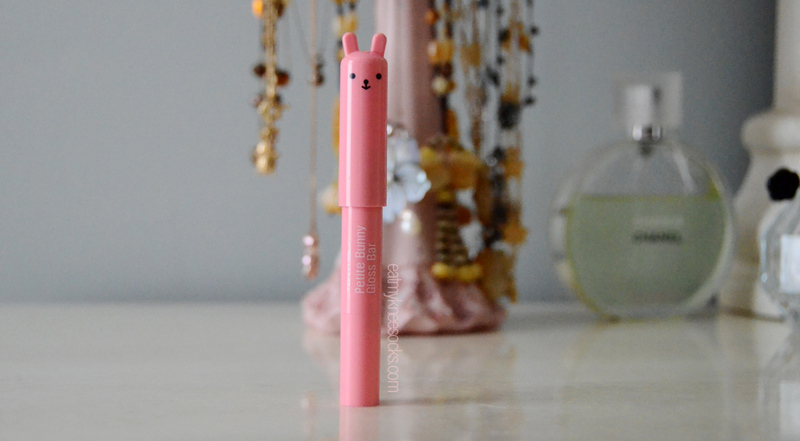 To use this adorable lip gloss, just pull off the bunny-head cap and twist the bottom! My favorite thing about Asian makeup (especially South Korean brands) is the packaging. Tony Moly has a lot of animal and food-inspired product designs like this bunny lip gloss, which I think looks even cuter in person. Each gloss bar comes with 2g of product, and you can buy them from Ulzzang Culture for just $10, with free shipping within the U.S! I'd say that the Tony Moly bunny gloss bar that I got in the Peach flavor acts like more of a tinted lip balm than a lip gloss. Color-wise, the lip gloss isn't very saturated, and it takes a couple of swipes to get the tint to show. Although it's not highly pigmented, I actually love that the color is sheer and buildable. 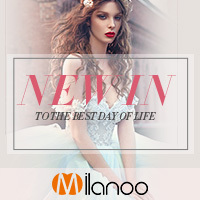 It's perfect for creating a barely-there, effortless look, and, of course, you can build up the tint for a more noticeable color. As you can see, the lip gloss has a light pink tint that's subtle and sweet. If you have lighter lips, one swipe could do the trick; I had to swipe about three times to get a nice pink hue on my lips. The Tony Moly bunny gloss bar also adds a slight shimmer to the lips. It's not a super-glossy, ultra-shiny finish, but more of a natural kind of glossiness. The Tony Moly bunny lip gloss from Ulzzang Culture leaves a really nice, cooling feeling on the lips. It's also super creamy and hydrating, and comes with a fruity smell that's delicious without being overpowering! The best part (aside from packaging) is that I don't even have to apply lip balm before using the bunny gloss bar! It's formulated with Vitamin E which moisturizes and nourish skin, so it doesn't really dry out my lips like other lipsticks or lip glosses. In terms of how long the color lasts, I'd say it generally stays for about 1 hour before starting to fade, but I can still see hints of pink after 3-5 hours depending on how much I apply. It fades quickly when I eat or drink, but that goes for pretty much every lip product I've tried. All in all, I'm really happy with the Tony Moly bunny lip gloss that I got from Ulzzang Culture. 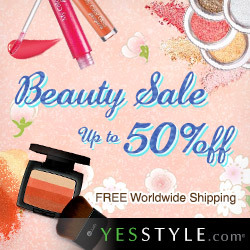 The color is buildable, the gloss looks very natural, and the product is moisturizing and easy-to-use. 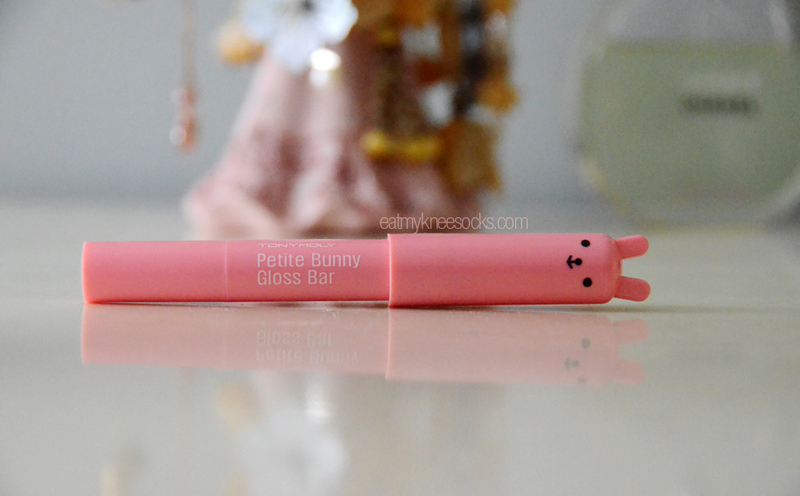 I like to use this bunny gloss bar on days where I'm wearing little to no makeup, or perhaps when I'm aiming for the ulzzang look, since the Peach flavored lip gloss has a pinkish tint that goes well with casual, "no-makeup" makeup! Of course, the packaging steals the show, and I'd absolutely recommend it to first-time buyers because, well, who doesn't want an adorable little bunny in their cosmetics collection? I personally love the sheer tint and subtle glossiness, but if you're searching for bold, striking colors, keep in mind that the Tony Moly lip gloss bars are meant for a more natural effect. 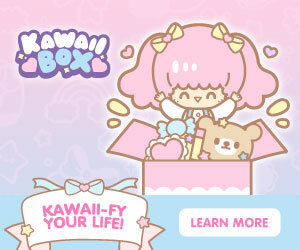 But in all honesty, how can you say no to such a cute design? 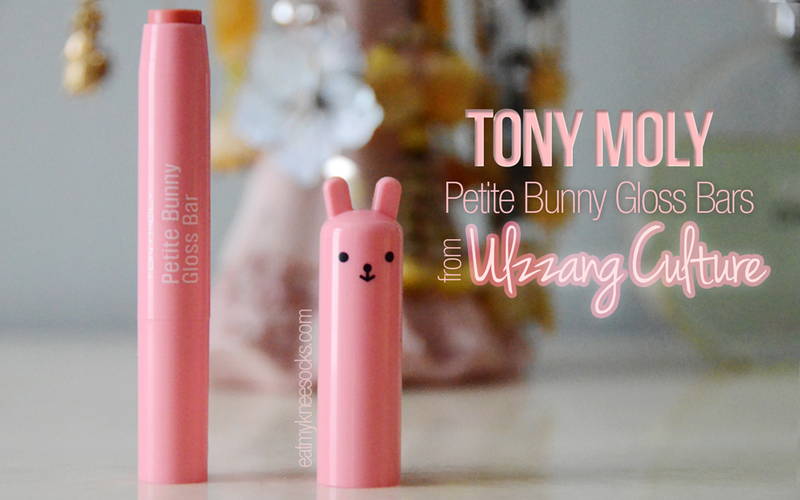 Like I mentioned, I got the Tony Moly Petite Bunny Gloss Bar from Ulzzang Culture. The store sells a bunch of Korean beauty products, hair accessories, phone cases, stationery, fashion, and ulzzang-style products. 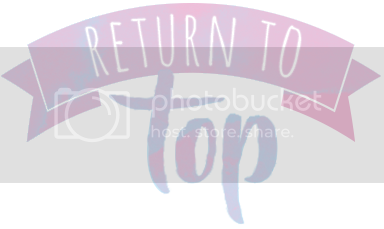 Ulzzang Culture is currently running special holiday promotions such as free hair ties with orders over $8, freebies with each purchase, and complimentary gift wrapping upon request, so don't miss out! 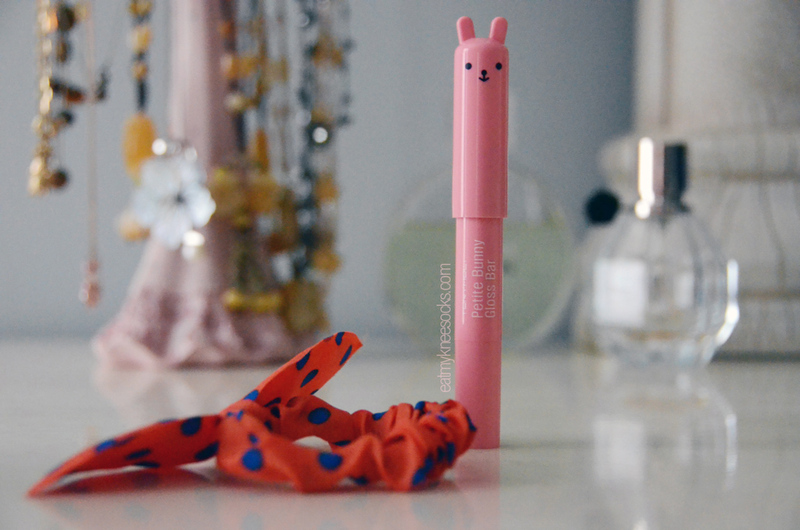 And, lastly, a big thank you to Ulzzang Culture for the adorable Tony Moly bunny gloss bar! 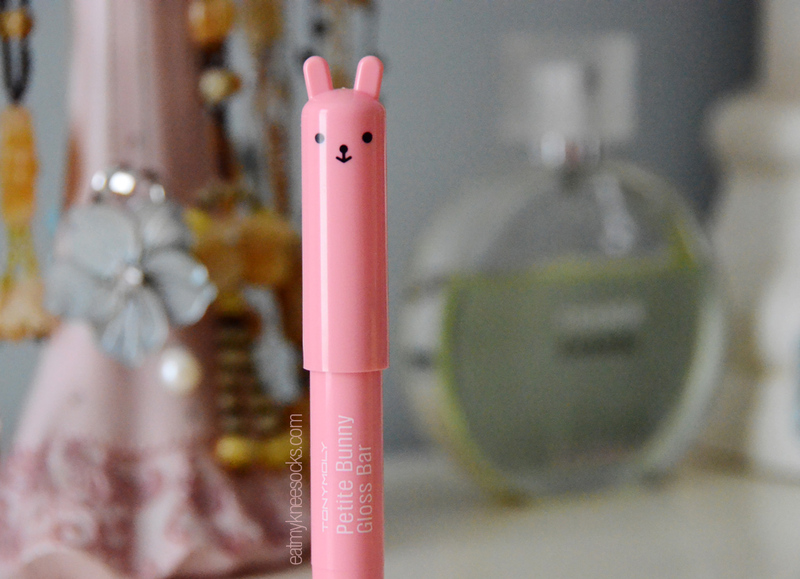 Lovely review *O* I own several of the tonymoly petite bunny gloss but I haven't used any yet! 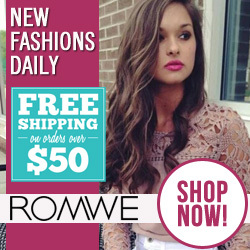 Followed you on GFC ^^, would you mind checking mines out? Aw thank you very much for the follow ^^ Your blog is super cute, I followed back! Your url is awesome btw, knee socks rock! Thank you so much for your support :D I followed you back on GFC; I love your travel posts! It looks really cute on your review ! !